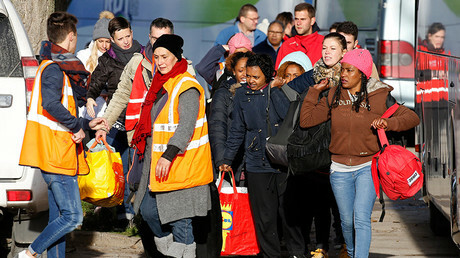 The center-right mayor of the French port city of Calais faces a standoff with aid groups, after issuing an order forbidding the systematic distribution of food on the site of the so-called ‘Jungle’ refugee camp, which was demolished last October. “We have suffered too much,” said Natacha Bouchart, a member of the center-right Les Republicains, after approving the new restrictions on Thursday. Posters explaining the new rules were placed around the remnants of the 'Jungle,' whose population reached 10,000 at its peak, while heavily armed police patrolled the territory. Utopia56, a humanitarian aid group, said officers fired tear gas at volunteers and teenagers who were standing in line for food on Thursday. Bouchart said that she understood the situation “from a human standpoint,” but said long-term concerns were at play. “It’s not a directive against the distribution of meals, but against gatherings because these lead to law and order issues as well as security and waste problems. 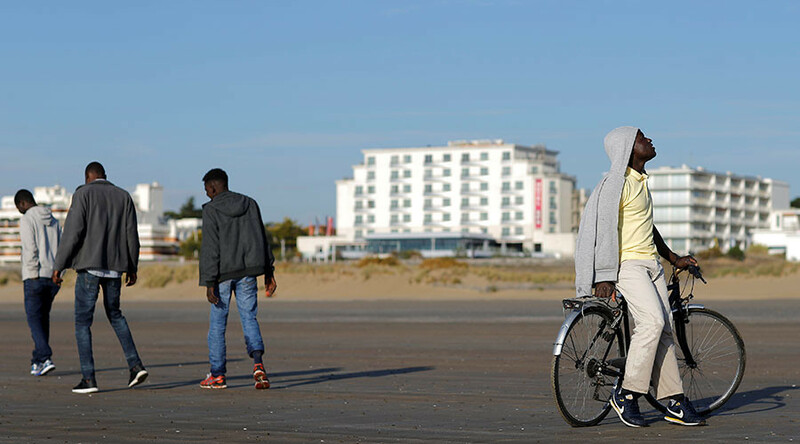 I took this decision to make sure that no permanent base or squat is created around Calais,” Bouchart told AFP. In accordance with the demolition orders, only a small contingent of minors who have been accepted by the UK remain. Other residents of the 'Jungle,' most of whom were either failed asylum seekers or who plan to apply for refugee status in Britain, were resettled in centers throughout France. Many failed to reach or settle at their new designated accommodation, and new arrivals, predominantly from the Middle East, Africa, and the Indian subcontinent, are still pouring into the city. Though they are harder to account for, several charities are reporting handing out hundreds, and even thousands of meals daily. Utopia56 have told La Voix du Nord that they will continue to feed the migrants “for the simple reason that they are hungry,” even if they have to move their operation underground. 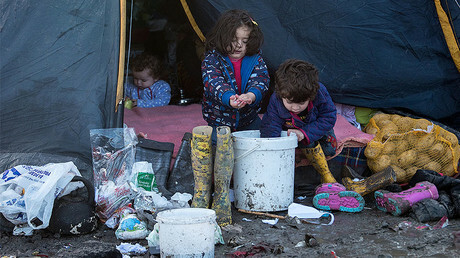 Other charities believe the new directive will not address the underlying factors that draw migrants to Calais. “They are trying to make the refugees invisible, so they make it harder to distribute in town than the countryside. We can’t distribute at day so we have to do it at night. They are trying to push them out of sight,” Renke Meuwese, of Refugee Community Kitchen and Help Refugees, told the Guardian. Some speculate that the new policy could worsen the already perilous criminal atmosphere around the coastal city, which has become increasingly right-wing in its voting patterns since the original camp was set up in 1999. “Adults will always find a way to buy food in the shops, but for minors, it will be a real problem – they have no money at all,” Christian Salome, president of the Auberge des Migrants charity, told the Guardian. Although the overall number of undocumented migrants is likely higher, a total of 85,000 people applied for asylum in France last year, with Sudan, Afghanistan, Haiti, and Albania the most frequent origin countries. Nearly two-thirds of the applications were rejected.